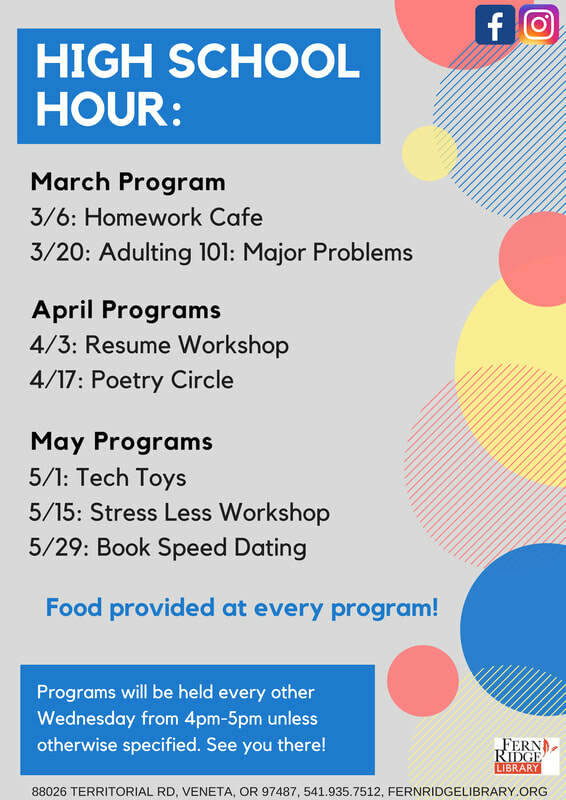 High School Hour alternates Wednesdays with our Middle School Lounge programs and runs from 4-5pm. The Friends of the Library Scholarship application is open now! Download the form and return it to the library by Tuesday, April 2nd, 5 PM to be considered for this $500 opportunity.